Light for Muscari Plant: Full sun to partial shade. Popular for mass planting. Used extensively to underplant daffodils and tulips for a spectacular spring show. 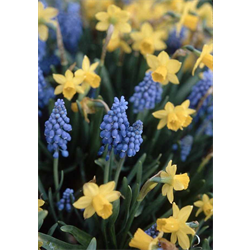 Pricing is per package and per variety for grape hyacinth bulbs (quantity discounts apply).